What to expect in 2019; Patriots for Turkey; GD warns Canada, and lots more. As we wrap up one year and look forward to the next, one story seems likely to dominate industry attention in the New Year: the defense budget, for all of the reasons you’ve read here in recent weeks. Budget caps return, Democrats control the House, and there’s a $100 billion spread between best guesses about the final topline for 2020. But the budget’s far from the only story. Will Congress approve a Space Force? We still don’t know whether the Trump administration will propose a service that is within the Air Force or an independent stand alone one. Congress hasn’t shown much appetite for creating a new branch of the military for the first time since 1947, but one has to wonder: if Democrats offer to give Trump his Space Force, should they be forced to choose between that and, say, a border wall? Boeing did not give the Air Force a single KC-46 tanker for Christmas. Maybe it will in January. Speaking of Boeing, lots of eyes will be watching its execution on all the big contracts it won in recent months: T-X trainer, MQ-25 drone and AW-139 helicopter. Will the Pentagon continue pushing ahead rapidly with hypersonics and other new tech? With all of the investments made this year, perhaps we’ll see some successful tests conducted in 2019. Also, it wouldn’t hurt to learn a little more about the B-21 bomber. This year was another huge one for mergers and acquisitions. Northrop Grumman closed on Orbital ATK, UTC closed on Rockwell Collins, and L3 announced it will merge with Harris. Will the wave continue in 2019? 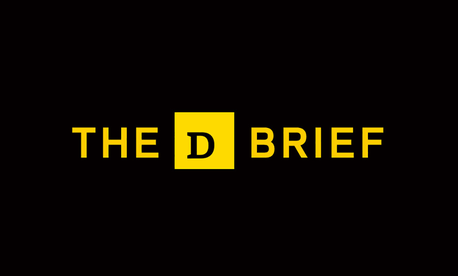 You’ve reached the Defense One Global Business Brief by Marcus Weisgerber. This was supposed to be a year-in-review issue, but with so much happening right now, I’ve decided to bring you more on that in the first Global Business Brief of 2019. Send your tips, feedback, and Christmas wishlists to mweisgerber@defenseone.com or @MarcusReports. 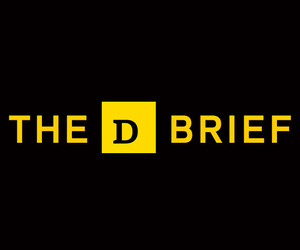 Check out the Global Business Brief archive here, and tell your friends to subscribe! Programming note: No Global Business Brief next week, as much of Washington empties out for the Christmas holiday. What do you plan to do with your time off? I, for one, plan to read “I’m Keith Hernandez,” the memoir of the New York Mets first baseman and should-be Hall of Famer. Growing up in New York as a left-handed Little Leaguer, I idolized the 11-time Gold Glove winner. The book’s been on my nightstand for way too long, so let’s call it my pre-New Years resolution to read it. Defense One Radio: Make sure you take a listen to my segment with Todd Harrison of the Center for Strategic and International Studies on our latest podcast, here. About 14 hours before reports surfaced that the U.S. planning to withdraw its forces from Syria and President Trump tweeted that “we have defeated ISIS,” the State Department approved the a $3.5 billion sale of Patriot missile interceptors to Turkey. Raytheon and Lockheed Martin are the two contractors that would benefit most from the deal. 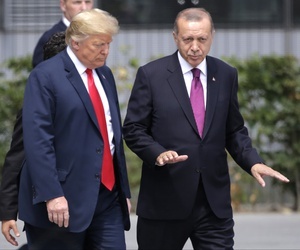 “Turkey will use Patriot to improve its air and missile defense capability, defend its territorial integrity, and deter regional threats,” a department spokesman said Tuesday, in advance of the deal’s announcement. 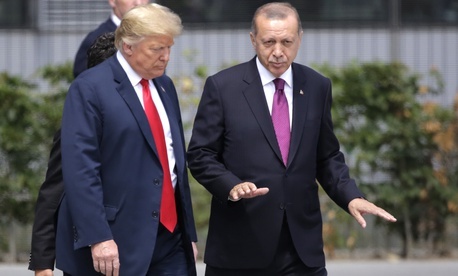 “The proposed sale will increase the defensive capabilities of the Turkish military to guard against hostile aggression and shield NATO Allies who might train and operate within Turkey’s borders.” The announcement comes as Turkey, a NATO ally, presses ahead with plans to buy the Russia’s S-400, mobile missiles, much to the chagrin of U.S. officials. Lockheed Martin will build a missile-tracking radar similar to the one it’s building in Alaska. It’ll be known as the Homeland Defense Radar-Hawaii. Its cost: $585 million. Here’s a rendering — which looks straight out of Microsoft Flight Simulator 2000 — of the planned radar site in Oahu. Recent congressional acquisition reforms have sent many weapons programs once overseen by the Office of the Secretary of Defense off to the individual service branches. But Ellen Lord, defense undersecretary for acquisition, technology and logistics, still oversees nine projects: the Army’s Integrated Air and Missile Defense, Navy’s Littoral Combat Ship and SSBN 826 Columbia-class submarine; Air Force’s Evolved Expendable Launch Vehicle, OCX GPS control stations and the new VC-25B Air Force One; and joint projects including the F-35 Joint Strike Fighter, Ballistic Missile Defense System and Chemical Demilitarization-Assembled Chemical Weapons Alternatives. Offering a slick video of the V-280 making tight banks and spins, Bell says the half-helicopter/half-plane has accumulated nearly 85 hours in the air and some “180 rotor turn hours” (which we presume means hours the aircraft’s rotors were spinning, on the ground or in the air). The V-280 is competing for the Army’s Future Vertical Lift project against the Sikorsky/Boeing-made SB>1 Defiant, which still hasn’t taken to the skies. That’s according to an internal Pentagon report obtained by D1 sister publication Government Executive. “Most jobs in the Defense Department are cheaper with civilian employees as compared to contractors, according to an internal Pentagon report, though the cost comparisons differ based on location, pay grade and job function,” GovExec’s Eric Katz writes. But it depends where the jobs are located. For instance, “civil service workers are most likely to be less expensive than contractors performing the same work in the Washington, D.C., region and in the Southeastern United States,” but contractors are cheaper in places like Hawaii and Guam. In fiscal 2017, the Pentagon spent nearly $160 billion on service contracts. Read the whole story here. How Much It Will Cost to Replace Every Air Force Plane? Finishing cockpit upgrades to the alliance’s 14 AWACS radar planes. “Upgrades include five full-color digital displays in each aircraft, replacing 1970’s-era dials and provides crewmembers with customizable engine, navigation and radar data,” the company said in a Dec. 18 statement. “These digital capabilities also allow NATO to consolidate crew responsibilities.” That prior line is an important one. As technology improves, crew sizes will likely shrink on big command-and-control and intelligence plane, making one ponder when these aircraft might be replaced by drones. Paul Colonna has been appointed president and chief investment officer of Lockheed Martin Investment Management Company, which is “responsible for $70 billion in retirement trust assets and all facets of the investment strategy, portfolio management, manager selection, asset allocation, risk management, and due diligence for these trust assets.” Colonna succeeds Chris Li, who retired from the position earlier this year. Jacques “Jack” Gansler, defense undersecretary for acquisition, technology, and logistics from 1997 to 2001, died on Dec. 4 from “complications of melanoma,” according to an obituary. Surprise! Get out of Syria; World reacts; 2nd, 3rd Fleets become expeditionary; And a bit more.